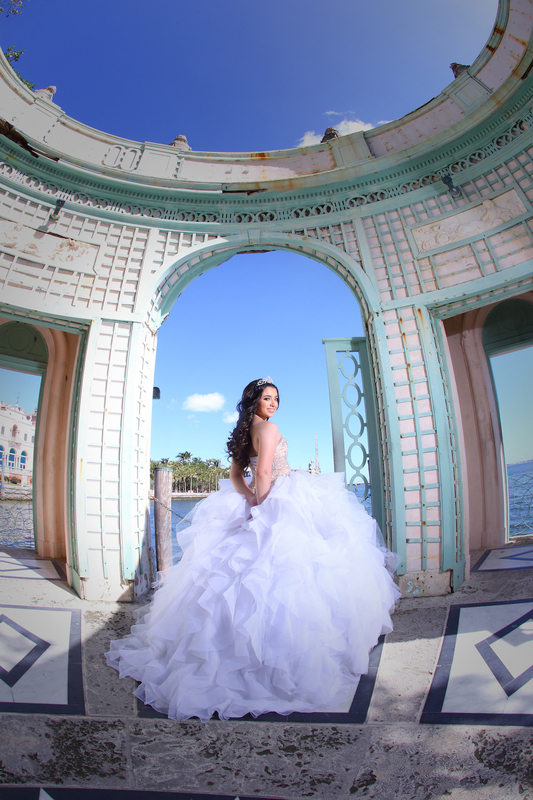 Quinceanera Hailly Rubio has a fun photo shoot! 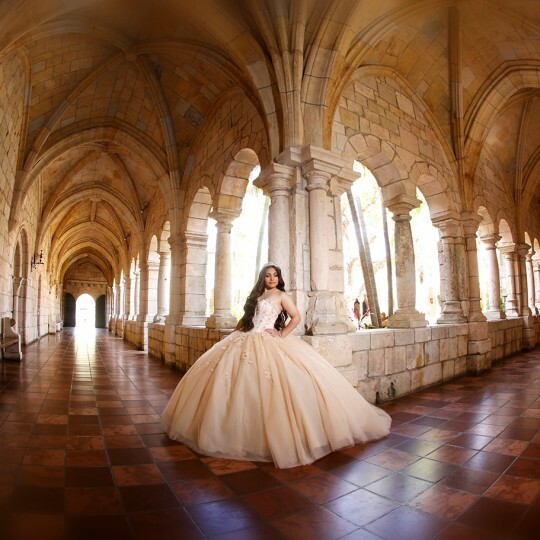 To start, the Quinceanera and her family enjoyed an amazing photo shoot. Also, a super fun day with Michael Hernandez by their side! Next, they coated all corners of Vizcaya Palace and Gardens with creativity. All while capturing moments in pictures of her beauty and expression. Vizcaya Palace and Gardens majestic scenery was enhanced by Hailly’s grace. The images speak for themselves and expresses her spirit and warmth. 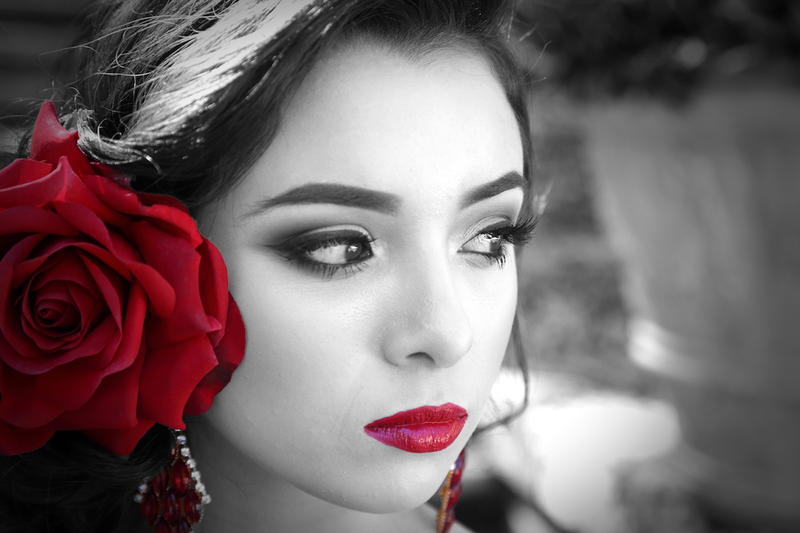 Once again, the makeup artistry of Yaneth created wonderful looks. All dresses by Lucci Lu were provided by Dalton gallery. Also, the featured dress above, is a mermaid style cut. 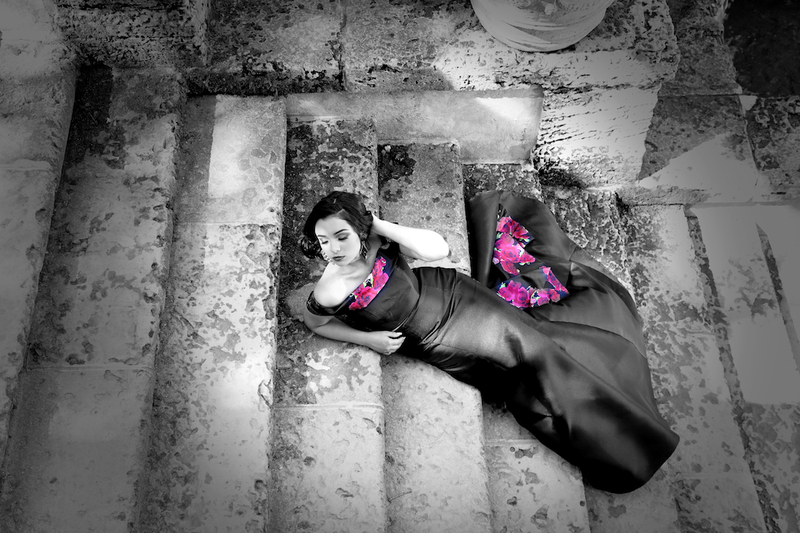 This dress contains a cascade of roses on the back. Her dress properly outlines her figure. Hailly’s dresses can be rented for a portion of the cost, we have a selection of over 250 dresses available. The wonderful props such as flower crowns and accent jewelry , were provided by crownszitacardin. Not to mention, Michael’s creative vision was praised by Hailly. Michael is a third generation Dalton Expert photographer. In addition, after 40 years in business, we continue striving for excellence. 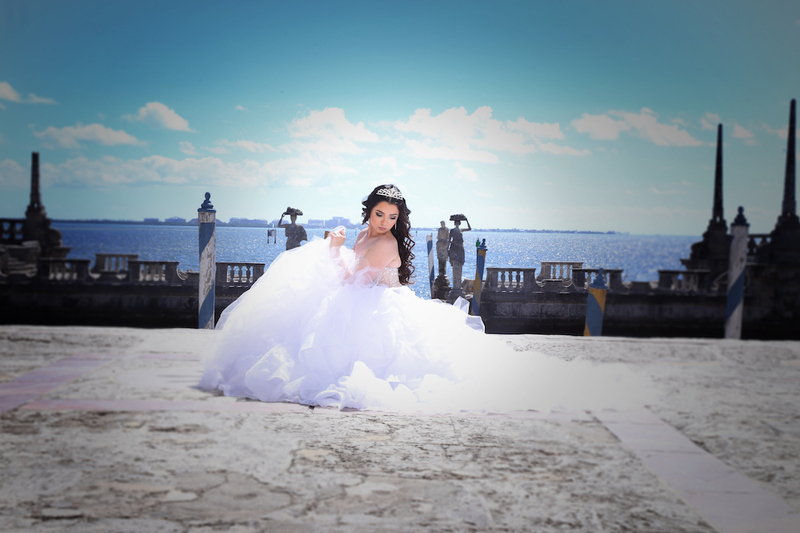 Dalton Photography gives our clients a memorable experience that Quinceanera had only dreamed of. 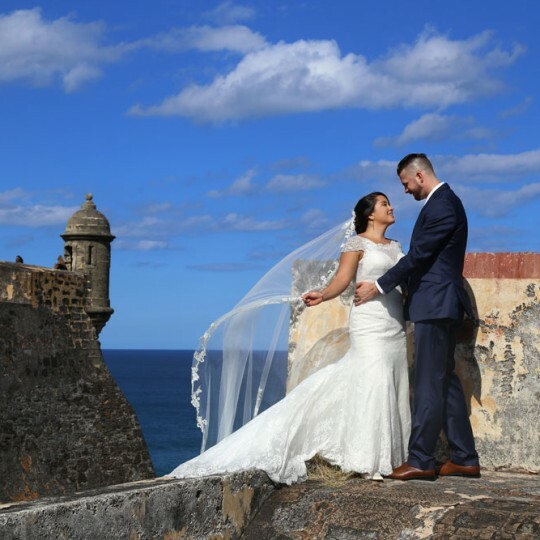 As a result, Hailly, enjoy your special day and we enjoyed every moment!